Last visit to Malta, I was going through some old papers and found this typed out recipe that a dear friend of mine, Olly, used to make for us at work. It was in the days when typewriters and Tippex Strips were still around! 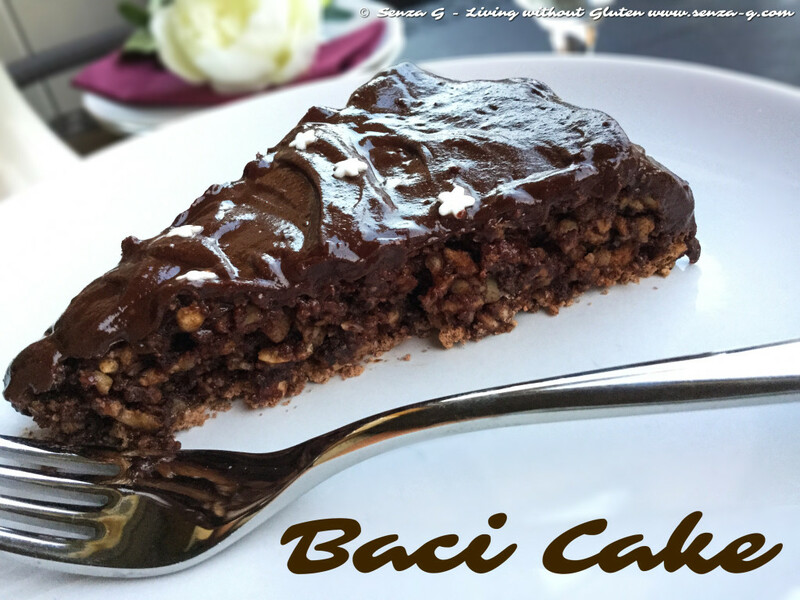 It is really easy to prepare and really does taste like the Baci Chocolates! 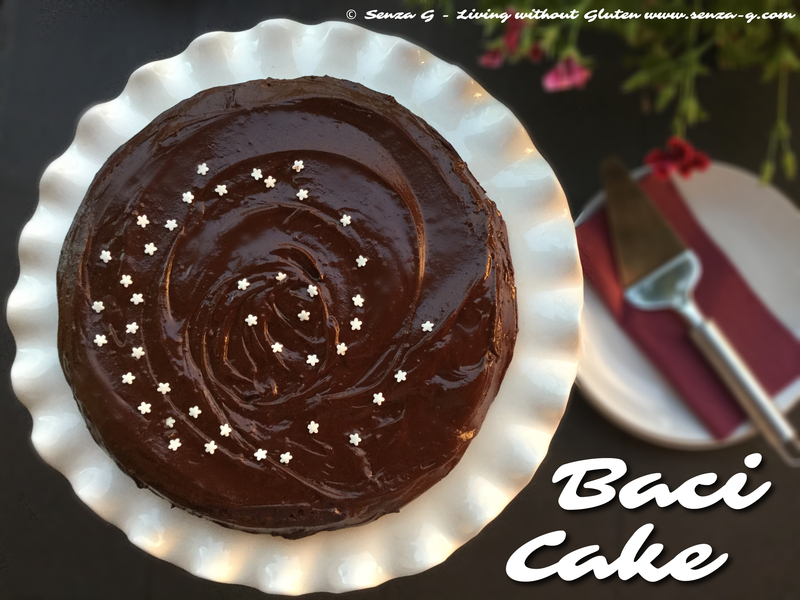 I have adapted this to a gluten free version by changing some ingredients. Thanks Olly! Process the hazelnuts and the crackers. In a small bowl, add the Nutella to the melted butter and mix well. Beat the egg whites until stiff, adding the sugar little by little. Add also the vanilla essence. Sieve the cocoa powder together with the baking powder and gently combine using a rubber spatula. Add the ground hazelnuts/crackers. Finally mix in the melted butter and Nutella. Pour the mixture in a lined round 10 inch oven proof dish and level the surface. Bake in the oven for about 20 minutes. Leave to cool. In the meantime, prepare the chocolate Ganache topping. In a small saucepan, heat the heavy cream until it starts to simmer. Carefully pour this over the chocolate and leave for about 5 minutes until the chocolate starts to soften and melt. Add the butter and stir briskly until all is combined and smooth. Carefully place cake on serving dish and cover it with the Chocolate Ganache. Decorate with white star sprinkles if desired.